Find free classifieds for Roommates, rooms for rent for sale or to buy in Andhra Pradesh. FREEADS in India offers you a platform to post free advertisements or classifieds for Roommates, rooms for rent, Andhra Pradesh. FREEADS in India helps you search, find, buy, sell, rent or hire in various categories like apartments, goods for sale, local services, cars , jobs and many more in Andhra Pradesh. Shown below are ads available in Roommates, rooms for rent, Andhra Pradesh. You can use search box above to refine your search. 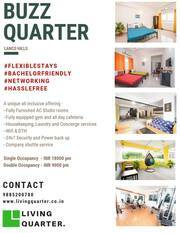 Living Quarter offers shared Co-Living Bachelor rooms for rent in Hyderabad for your comfortable stay. Our Co-living apartments in Hyderabad of Flat mates, Bachelor rooms for rent in Gachibowli, Manikonda, Madhapur, Hitech City, Financial District and Nanakramguda. Volantis is a standalone property at Journalist Colony Phase III and is a 5-10-minute drive from Financial District and Nanakramguda. Living Quarter offers shared Co-Living Bachelor rooms for rent in Hyderabad for your comfortable stay. Our Co-living apartments in Hyderabad of Flat mates, Bachelor rooms for rent in Gachibowli, Manikonda, Madhapur, Hitech City, Financial District and Nanakramguda. Bungalow is a standalone property at Journalist Colony Phase III and is a 5-10-minute drive from Financial District and Nanakramguda. Living Quarter offers Fully furnished luxury serviced apartments and shared accomdomations in Hyderabad for your comfortable stay. Our Co-living Studio apartments in Hyderabad of 1BHK, 2BHK, 3BHK Studio Rooms, community Living, Furnished Flats for rent in Gachibowli, Manikonda, Madhapur, Hitech City, Financial District. Living Quarter Luxury Service Apartments and flats in Hyderabad has its Co-Living rooms in Gachibowli, Manikonda, Madhapur, Hitech City, Financial District and Nanakramguda provides fully furnished Rental flats 1BHK , 2BHK, 3BHK, 4BHK flats, apartments for rent on shared accommodation and for bachelor’s with no Brokerage. Shared Bachelor Accommodations, Rooms for Rent in Financial District, Hyderabad – Living Quarter Serviced Accommodations and Co-living Bachelor Rooms, Flats for Rent in Gachibowli, Manikonda, Qcity, Financial District and Nanakramguda, Hyderabad. Luxurious and fully furnished Service apartments, Shared accommodations homes enhanced with fully equipped kitchens and high-class Amenities. We provide High class Amenities, Fully Furnished Studio Apartments & Rooms, Luxurious and Affordable prices, Serviced Apartments for bachelor girls, Co- Living Bachelor rooms to corporate professionals for rent in Lanco Hills Manikonda, Gachibowli, Madhapur, Hitech City, Financial District and Hyderabad. Serviced Apartments, Rooms for Rent in Gachibowli, Financial District, Hyderabad – Living Quarter Living Quarter Luxury Service Apartments and flats in Hyderabad has its Co-Living rooms in Gachibowli, Manikonda, Madhapur, Hitech City, Financial District and Nanakramguda provides fully furnished Rental flats 1BHK , 2BHK, 3BHK, 4BHK flats, apartments for rent on shared accommodation and for bachelor’s with no Brokerage. 1BHK Fully Furnished Bachelor Apartments for Rent in Gachibowli, Hyderabad – Living Quarter Living Quarter Luxury Service Apartments and flats in Hyderabad has its Co-Living rooms in Gachibowli, Manikonda, Madhapur, Hitech City, Financial District and Nanakramguda provides fully furnished Rental flats 1BHK , 2BHK, 3BHK, 4BHK flats, apartments for rent on shared accommodation and for bachelor’s with no Brokerage. Serviced Apartments, Rooms for Rent in Gachibowli, Fianancial District, Hyderabad – Living Quarter Serviced Apartments for rent in Hyderabad, Co-living rooms for rent in Manikonda, furnished Flats for rent in Gachibowli, Full Furnished apartments for rent in Hi-tech city, Co-Living Furnished Flats for rent in Hyderabad, Shared Accommodation flats for rent in Hyderabad, Luxury Co-Living rooms in Financial District. SERVICED APRTMENTS, ROOMS FOR RENT IN GACHIBOWLI, FINANCIAL DISTRICT, HYDERABAD – LIVING QUARTER Serviced Apartments for rent in Hyderabad, Co-living rooms for rent in Manikonda, furnished Flats for rent in Gachibowli, Full Furnished apartments for rent in Hi-tech city, Co-Living Furnished Flats for rent in Hyderabad, Shared Accommodation flats for rent in Hyderabad, Luxury Co-Living rooms in Financial District. STUDIO APARTMENTS AND ROOMS FOR RENT IN GACHIBOWLI, FINANCIAL DISTRICT, HYDERABAD – LIVING QUARTER Serviced Apartments for rent in Hyderabad, Co-living rooms for rent in Manikonda, furnished Flats for rent in Gachibowli, Full Furnished apartments for rent in Hi-tech city, Co-Living Furnished Flats for rent in Hyderabad, Shared Accommodation flats for rent in Hyderabad, Luxury Co-Living rooms in Financial District. SERVICED APARTMENTS FOR RENT IN GACHIBOWLI, HITECH CITY, HYDERABAD – LIVING QUARTER Serviced Apartments for rent in Hyderabad, Co-living rooms for rent in Manikonda, furnished Flats for rent in Gachibowli, Full Furnished apartments for rent in Hi-tech city, Co-Living Furnished Flats for rent in Hyderabad, Shared Accommodation flats for rent in Hyderabad, Luxury Co-Living rooms in Financial District. APARTMENTS FOR BACHELOR GIRLS IN GACHIBOWLI, HYDERABAD – LIVING QUARTER We provide High class Amenities, Fully Furnished Studio Apartments & Rooms, Luxurious and Affordable prices, Serviced Apartments for bachelor girls, Co- Living Bachelor rooms to corporate professionals for rent in Lanco Hills Manikonda, Gachibowli, Madhapur, Hitech City, Financial District and Hyderabad. STUDIO APARTMENTS AND ROOMS FOR RENT IN GACHIBOWLI, HYDERABAD – LIVING QUARTER Living Quarter offers Fully furnished luxury serviced apartments and shared accommodations in Hyderabad for your comfortable stay. 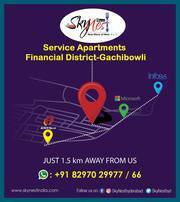 Our Co-living Studio apartments in Hyderabad of 1BHK, 2BHK, 3BHK Studio Rooms, community Living, Furnished Flats for rent in Gachibowli, Manikonda, Madhapur, Hitech City, Financial District. 1BHK, 2BHK, 3BHK ROOMS AND APARTMENTS FOR BACHELOR IN HYDERABAD – LIVING QUARTER Living Quarter Luxury Service Apartments and flats in Hyderabad has its Co-Living rooms in Gachibowli, Manikonda, Madhapur, Hitech City, Financial District and Nanakramguda provides fully furnished Rental flats 1BHK , 2BHK, 3BHK, 4BHK flats, apartments for rent on shared accommodation and for Bachelors with no Brokerage. 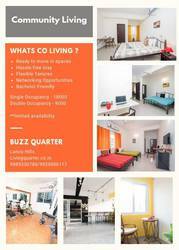 BUZZ Quarter – Bachelor Rooms for rent Girls/Boys in Hyderabad|Manikonda|Gachibowli|Financial District -Living Quarter Living Quarter offers Fully furnished luxury serviced flats and shared rooms in Hyderabad for your comfortable stay. Our Co-living apartments in Hyderabad of 1BHK, 2BHK, 3BHK Furnished Flats, Rooms, Homes for rent in Gachibowli, Manikonda, Madhapur, Hitech City, Financial District and Nanakramguda. SERVICED BACHELOR APARTMENTS FOR RENT IN GACHIBOWLI, HYDERABAD – LIVING QUARTER Serviced Apartments for rent in Hyderabad, Co-living rooms for rent in Manikonda, furnished Flats for rent in Gachibowli, Full Furnished apartments for rent in Hi-tech city, Co-Living Furnished Flats for rent in Hyderabad, Shared Accommodation flats for rent in Hyderabad, Luxury Co-Living rooms in Financial District. BACHELOR CO – LIVING ROOMS FOR RENT IN GACHIBOWLI, HYDERABAD – LIVING QUARTER Living Quarter provides High class Amenities, Fully Furnished shared flats in Affordable prices for bachelors, Residential, Sharing Beds, Serviced Flats, Co- Living rooms to corporate professionals for rent in Lanco Hills Manikonda, Gachibowli, Madhapur, Hitech City, Financial District and Nanakramguda Hyderabad. BACHELOR FLATMATES AND ROOMATES IN GACHIBOWLI, HYDERABAD – LIVING QUARTER Living Quarter provides High class Amenities, Fully Furnished shared flats in Affordable prices for bachelors, Residential, Sharing Beds, Serviced Flats, Co- Living rooms to corporate professionals for rent in Lanco Hills Manikonda, Gachibowli, Madhapur, Hitech City, Financial District and Nanakramguda Hyderabad. India ads for Roommates, rooms for rent, Andhra Pradesh, Roommates, rooms for rent free ads Andhra Pradesh, Roommates, rooms for rent for sale Andhra Pradesh, Roommates, rooms for rent to buy in Andhra Pradesh. This page is a classified ads listing for Roommates, rooms for rent Andhra Pradesh. This listing includes classifieds for sale and to buy in Andhra Pradesh. If you posted an advertisement on Roommates, rooms for rent, Andhra Pradesh before please use Edit my ads button to change or cancel your ad. Roommates, rooms for rent Andhra Pradesh ads Andhra Pradesh, Roommates, rooms for rent classifieds Andhra Pradesh, Roommates, rooms for rent free ads Andhra Pradesh, ads for sale Andhra Pradesh, ads to buy Andhra Pradesh, FREEADS in India. Find here ads for sale, to buy and rent in Andhra Pradesh. Goods for sale in Andhra Pradesh, vehicles for sale in Andhra Pradesh, Andhra Pradesh real estate for sale, Andhra Pradesh property for sale, property for rent in Andhra Pradesh, business ads in Andhra Pradesh, Andhra Pradesh business classifieds, services in Andhra Pradesh, Andhra Pradesh services ads, jobs in Andhra Pradesh, pets for sale in Andhra Pradesh, Andhra Pradesh dating, Andhra Pradesh cars for sale.